When people stand up for each other that's unity, but when someone stands up for themselves, that is courage. And that's what a constable from Bangalore attached to Jayanagara police station did when he was asked about coming late consistently to work. To his shock, the constable, Sridhar Gowda, was suspended for his sarcastic reply to a show cause notice issued by his senior for coming late to work. The copy of the letter is also going viral on social media which has been uploaded by the constable himself. Also, while speaking to The News Minute, Sridhar explained his ordeal stating that "My wife is a head constable who works in the control room. She has to leave home at 7:00 am if she has to reach work on time. My job is to feed the children and drop them to school. How can the officers expect us to show up at 8.30 am? I have requested them to change my shift so it won’t clash with my wife’s many times, and they did not listen. Unlike SI Malappa Pujar, who sleeps in the room above the station, we have to bear the traffic, too, to get to work. We are also human beings." When contacted, K. Annamalai deputy commissioner of police, Bengaluru south division, he clarified on the statement stating that the constable is suspended not because of his sarcastic reply but for "indisciplined behaviour." "He is definitely not suspended for that reply. This constable had been suspended once for other violations. While, Inspector Yerriswamy is a capable administrator and constable chose to make allegations on him and circulated that copy to the media even before the inspector had a chance to read it," Annamalai said. After the local Assistant Commissioner of Police reported this incident, Annamalai has suspended Sridhar. Further explaining his situation, he said "I know in rural districts police personnel work for 15 hours. All timings in our limits are computerised with zero human intervention and duties are also allocated fairly. It’s just that some guys simply believe voicing their opinion is cool and that too in a way that runs counter to organisational ethos and values." "எதை செய்தாலும் இதயபூர்வமாக செய்":ஐ.பி.எஸ் மகனுக்கு சல்யூட் அடித்த கான்ஸ்டபிள் தந்தை...நெகிழ்ச்சியான சம்பவம்! This page contains news relating to various facts and events. The views are generally about current affiars and general topics in diversified areas such as political, international, national, and regional issues, sports, health, travel, lifestyle, technology and business. People having similar interets on the above topics will find this page useful. 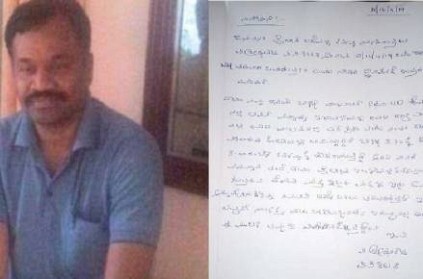 Bangalore cop suspended for sarcastic reply to boss after notice issue | India News.